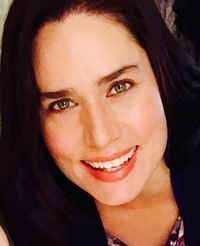 To ask Maia Chance questions, please sign up. I just finished Snow white red-handed and I loved it. I look forward to Cinderella six feet under and beauty, beast, and belladonna. Will there be a fourth book? also, who Is your favorite princess? I loved "Snow White Red-Handed"! Thank you for writing such a fabulous book. I love fairytale adaptions, and this did not disappoint! Can't wait for "Cinderella Six Feet Under" :) May I ask what your favorite part of this story is? I’m delighted to share with you the gorgeous cover for Gin and Panic (Discreet Retrieval Agency #3). 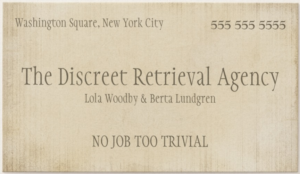 The newest detective romp starring Lola Woodby and Berta Lungren (motto: No job too trivial) will be released October 24, 2017, and you can pre-order your copy now. The post Cover Reveal: GIN AND PANIC appeared first on Maia Chance. We’d love your help. Let us know what’s wrong with this preview of The Beloveds by Maureen Lindley. What a sweet, beautiful book. I enjoyed every paragraph, and I'm not shy about skimming if books start to lag. Lo's writing is so poised, yet sensuous and detailed. Perfect. We’d love your help. Let us know what’s wrong with this preview of Ash by Malinda Lo. We’d love your help. Let us know what’s wrong with this preview of Pines by Blake Crouch. We’d love your help. Let us know what’s wrong with this preview of The Hypnotist's Love Story by Liane Moriarty.